Today I made my way to the not so sleepy town of Sleepy Hollow, NY for the Sleepy Hollow 10k put on by the Rivertown Runners. We had a lovely start time of 9:30 am and perfect weather. The course has promised was challenging but a lot of fun. If anyone was worried about me not getting enough hill work in prior to the marathon, worry no more. I think there were somewhere between 600-800 runners which made this the perfect race for the course and all of the volunteers were really nice. After hearing about the debacles that the Rock-n-Roll 10k in Prospect Park had I am so glad that I stayed local and supported a great local running club. If you have never gone running in this part of Westchester County, NY I highly recommend that you make your way up here and go for a run. It’s a short ride on Metro-North and with the fall foliage nearing it’s peak you’ll have some great views. But back to the race itself. Since this was part of my overall 12 mile long run today, I wasn’t going to push myself too much. Plus I forgot my Garmin which made figuring out the correct distance a little tricky with my MapMyRun App. Thankfully, I have a pretty good sense of what my normal pace is so I was able to get through the course without too much of a problem and no feeling exhausted at the end. 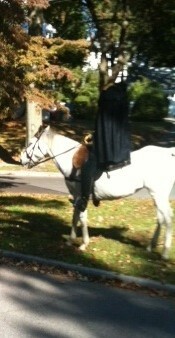 This is Sleepy Hollow, so expect hills — lots of them. But with an uphill there is a downhill. Yay! 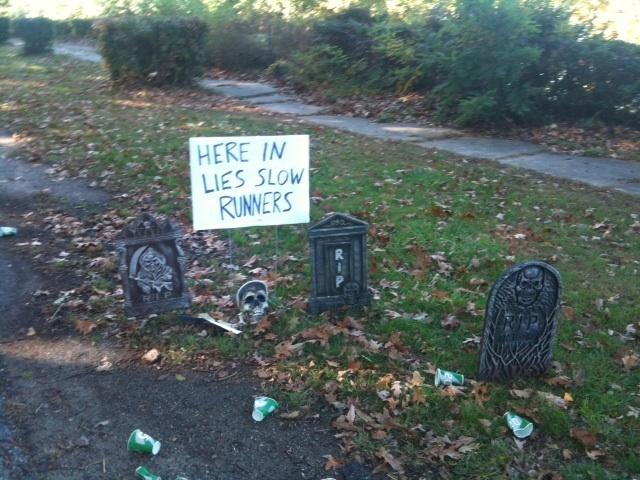 We also got to see some skeletons along the course and a not so funny graveyard for us slower runners. Did I mention the scenic course? 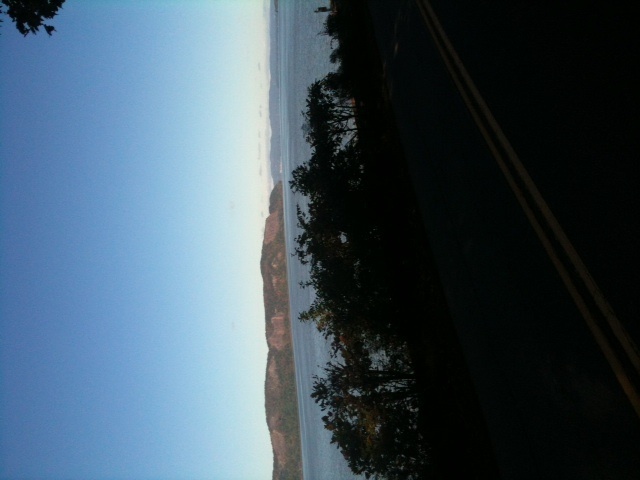 Well, there is the awesome section where you are running near the Hudson River and what a lovely treat that is! This really was an amazing race, that gave me a great workout and an enjoyable time. This will definitely be on my calendar for next year! This entry was posted in running and tagged 10k, Garmin, graveyard, Headless Horseman, Hudson River, MapMyRun, rivertown runners, Sleepy Hollow. Bookmark the permalink.